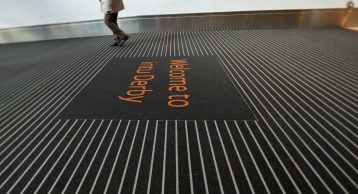 Intu derby is a large shopping centre located in the heart of Derby owned by INTU properties this makes it their 14th Shopping centre in the UK alone. Home to over 200 stores, shoppers are sure to find what they are looking for. 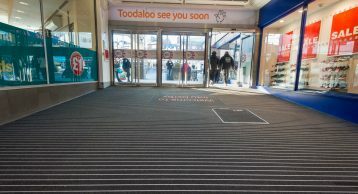 Find out how our Entrance Matting is playing a crucial role in keeping shoppers safe from slips and trips. 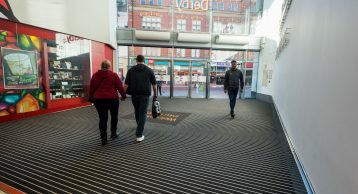 The centre plays an important role in adding to the vibrancy of Derby city centre and the region, creating a buzzy hub for its community and tourist industry. This shopping centre caters to a catchment population of 2.3 million and has an annual footfall of 23 million. Keeping all these shoppers safe is of paramount importance for the centre’s management. 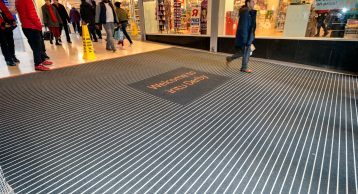 As a result, they chose to install the INTRAform DM Heavy Duty Entrance Matting to protect the internal flooring and ensure a clean and safe environment. 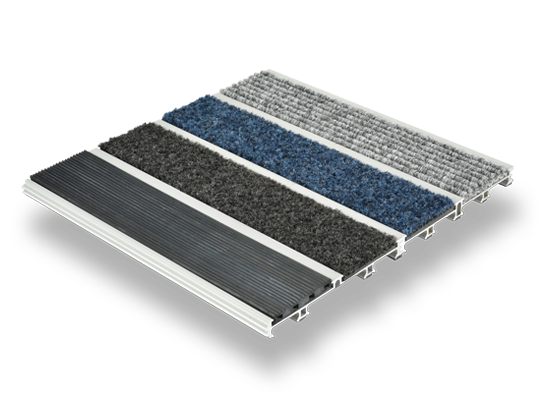 The INTRAform DM design offers the highest levels of moisture absorption by utilising a high-quality polyamide fibre insert and maximising underfoot contact; providing up to 5L/m² of moisture absorption. Most injuries happen because of the lack of duty of care. Avoiding legal cases by taking the right steps is a necessity to maintain a positive reputation for the brand. 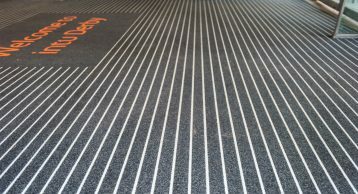 Having the right Entrance Matting can help prevent the ingress of foot borne moisture and dirt from entering the building therefore maintaining safety and for each visitor and keeping the reception area aesthetically pleasing. 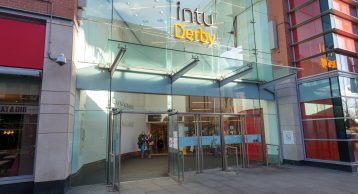 Call us on 01425 472000 or email us on info@intramatting.com to find out how we can help deliver projects such as INTU Derby for you.